Preppy Anchor monogram pocket Tshirt for women. 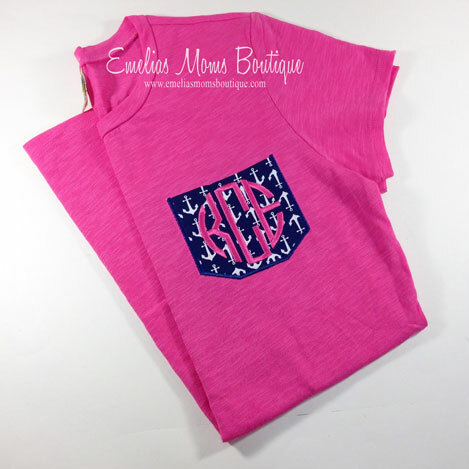 This adorable short sleeve monogrammed pocket t-shirt is the definition of preppy. Design a pocket in your school colors for a casual game day look, or in your sorority colors and be the envy of your friends. These adorable shirts also make great gifts for your bridal party.